Shyla is drawn to Brennan's strength, and to his humanity. 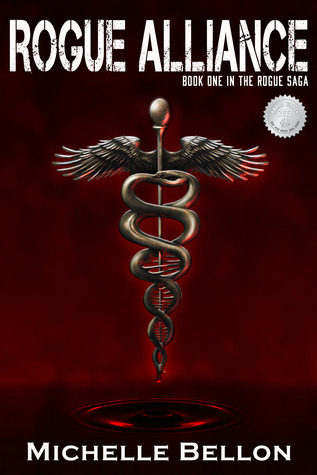 Even after she discovers his secret — he must have human blood to survive. Shyla knows she can’t take down Champlain by going through Brennan — he’s too strong — and he’s loyal to Victor. In one sentence, what is your book about? On opposite sides of the law, Shyla and Brennan learn each other’s secrets…that changes everything. When did it come out? Who is the Publisher? Any notable awards or praise for it? Rogue Alliance came out last December, published by Pandamoon Publishing. It won a literary award from the Wise Bear Book Awards in the suspense category. The idea for this book came to me while I was driving. I tend to think a lot while in the car (I’m a good driver, I swear!) I was thinking over the vampire phenomenon and then suddenly this scene came to me. In that one scene I got a strong sense of the two main characters and what their struggles were, both with themselves and with one another. It was a very intense scene and I desperately wanted to write a story around it but at first I was very hesitant because I wasn’t inclined to write another vampire book. It’s been done. But, as most writers understand, the story was itching to be told so I asked myself how I could write a vampire type of story in a way that has never been done before. How did you get your first break as an author? In 2009 I began writing my first novel. I shocked myself when I actually finished it six months later. Little did I know, that my work had barely begun. That book went through about five rewrites and multiple edits, but still, I was proud to have made it that far. As I started querying agents and receiving rejections I also started writing another book. During that emotional and draining process, I also submitted my book to a few small presses. Two offered to publish it and so I made the decision to sign with a small press in London, of all places. It was a great experience. What has been the biggest surprise or learning experience you’ve seen through the process of seeing your book(s) get published? The biggest surprise was learning that I have these stories inside of me and the ability to get them all out onto paper. The biggest learning experience has been to learn to take the good with the bad. Being a writer has got to be one of the hardest jobs for the ego that someone can choose. It takes you on a roller coaster of emotions, ups and downs, so that you question your every move, even your sanity. One moment you can feel amazing when you achieve a new goal or receive an incredible review then the next day or even the next hour, you feel lower than low as the self-doubt creeps in when you realize how far you still have to go to make a name for yourself in the industry. Don’t get me started on statistics for success in this business. Tell me about a fun moment or proud experience you’ve had with your book and readers since the book got published. 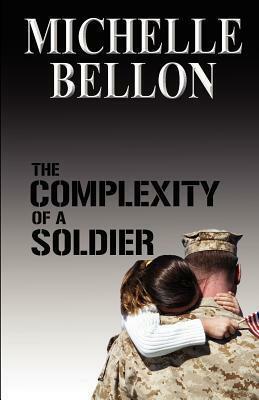 Since this book has come out I’ve been floored by the overwhelming response from readers. The book has not had a ton of marketing so has not had high exposure but even so, every single review I’ve had has been so incredible. The feedback has been everything that I’d hoped it would be and more. Readers love Brennan and Shyla and are waiting for book 2. What are you doing to reach out to readers and book enthusiasts? I do everything that I possibly can. One thing I’ve learned is that what may work for one author may not work for another, especially from one genre to the next. I work as a registered nurse for my day job so I don’t have as much time to dedicate to marketing as I’d like but I grasp any opportunity that I can and I’m always looking for new venues. I do a lot of interviews, guest posts, and blogtalkradio, as well as participating in giveaways. 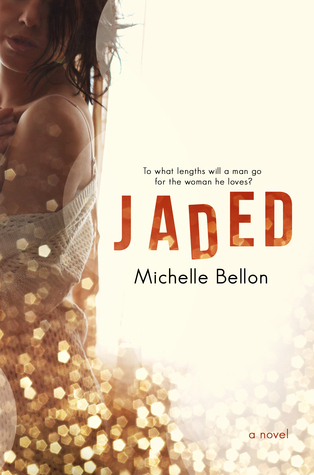 I’ve also recently launched my latest book, JADED, so I intend to spend time promoting that as well. It’s a contemporary romance novel. What is the one thing that you hope readers take away after reading your book? I want readers to walk away from this book feeling as if they truly just read something completely new and gripping. I want them to think about the characters long after they’ve laid the book down. If someone were to tell you one thing before you started writing, what do you wish it had been? I wish I had known more about the marketing aspect. I’ve had to learn the hard way what it takes to get your book in the hands of readers and I always advise aspiring authors to do their homework on what it will take to market their work. Writing the book is one thing. Marketing it is a whole other beast. What is your overall impression of the writing industry? Any advice you would like to give to the aspiring authors? Write what you want. Never. Give. Up. What are the ten things people don’t know about you?